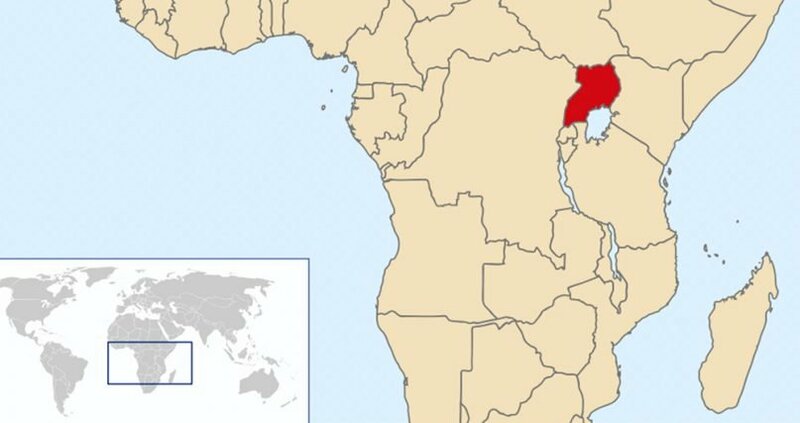 KAMPALA, Uganda (RNS) — Thousands of Catholics in one of the world’s poorest nations are objecting after the church asked the government to collect a 10 percent tithe from worshippers on its behalf. A similar “church tax” in Germany has generated record revenue for the Catholic Church there, according to the German Handelsblatt newspaper — but the policy is also blamed for driving millions of people to leave the faith. 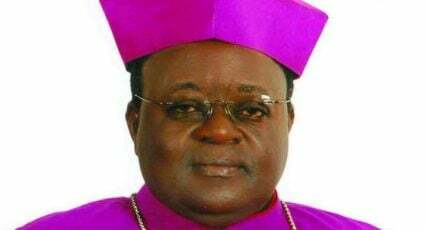 During an Oct. 28 Mass at Rubaga Cathedral in the capital city of Kampala, Archbishop Cyprian Kizito Lwanga urged the Ugandan government to immediately begin deducting a 10 percent tithe from the monthly salaries of all Catholic believers to ensure the church’s work does not stop because of lack of funds. Lwanga said many do not voluntarily give the church 10 percent of their incomes. “We lie to God that we pay church tithe off our monthly salaries. 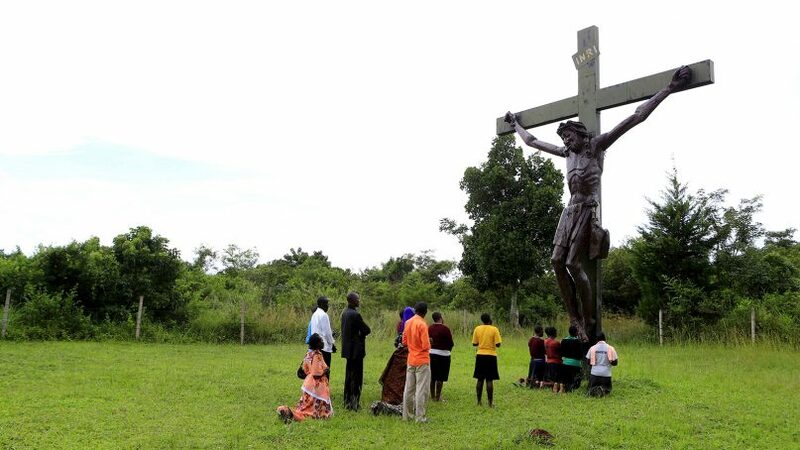 But during a Mass like this, whenever we ask for tithe, everyone gives only what they have at that time,” Lwanga said. Some Ugandan Christians questioned the church’s motives, saying a church tax forces poor people to fund extravagant lifestyles for some priests and bishops. “They should understand that we are paying fees for our children and servicing government loans. We have no money,” Mayanja said. More than a third of Uganda’s nearly 43 million people live on less than $1.90 per day, the international marker of extreme poverty, according to World Bank. The Brookings Institution reports 3 in 10 households in Uganda spend more than 65 percent of their income on food. Lwanga said he wants Catholics in Uganda to emulate their counterparts in Germany, where 8-9 percent of churchgoers’ income is deducted and channeled to the respective faiths. Several other European nations also collect religious taxes, which are sometimes voluntary, according to the Pew Research Center. The idea of deducting tithes from salaries was widely supported by some Ugandan officials who are also Catholic believers. Many dismissed the archbishop’s critics, saying Lwanga’s suggestions were based on Scripture. “The archbishop was reminding the church and only Catholics that they need the money to run church activities,” said Betty Nambooze, a legislator representing Mukono, a town in central Uganda. Catholics are Uganda’s largest religious group, but the Catholic share of the population has declined slightly in recent years. Catholics made up 39.3 percent of the population in the 2014 census, down from 41.6 percent in 2002. Around 32 percent of Ugandans are Anglican, and 14 percent are Muslim. Religious leaders from other denominations questioned Lwanga’s strategy. Some vowed not to support the idea, saying the Bible does not sanction governments to collect tithes and offerings from worshippers. Mayanja and other Catholics said they will oppose Lwanga’s proposal because they believe it goes against Catholic teaching. 1) the bishops are wrong to take from the faithful by way of government tax. If the faithful cannot or will not donate to the church; then that is between the individual and God. It is up to the church hierarchy to live within its means ( just like any individual or government entity). 2) this article mentions the Catholic Church in Germany as one who receives revenue via a tax. My understanding is that the Catholic Church is only prevalent in Bavaria. Is the tax applicable to the Lutheran church which dominates the remainder of Germany? A10% tithe from someone well off interrupts his pleasure, while 10% from some poor person takes food out of his mouth or that of his family. Pope Francis needs to have a conversation with Archbishop Cyprian Kizito Lwanga. “The Bible says a tenth of whatever you earn belongs to the church, and you should give me support as I front this proposal because it is good for us.” Where in the Bible would that be? ““Any believer who is not paying his or her tithe has no space in heaven.” So much for the thief on the cross – Christ must have lied to him. ““God does not demand a certain amount of money from his people,” said Mayanja. “We give offering and tithe from our hearts. What our leaders are doing is extortion and is not based on the word of God.” Amen and amen. I don’t think either of those issues apply in this case since the entirety of society is not involved. I would equate it to taxation without representation. A church wants to give its religious dictates power of civil law. It is taxation without representation as well. But it is an ancillary concern. Even if made by law by majority vote after rigorous debate, it’s still bad. They are seeking entanglement of church and state in its most obvious form. A church based tax is official establishment of religion. I don’t exactly agree with your last sentence but agree with your direction. I think we both agree that governments should not collect taxes for churches or any other non-governmental entity. The differences here aren’t worth arguing over here. Fair enough. For once we agree 100%! The article seems to have a bit of a spin. The Ugandan press reports that the “proposal” was actually a sermon preached at Sunday Mass. Unfortunately every time I include a url to a Ugandan article, my post gets blocked as “spam”. 2) Germany taxes individuals – Protestant, Catholic, and Jewish – on behalf of their denominations. It is the Kirchensteuer, a payroll deduction. It is administered by the Finanzamt, which charges a small administration fee. The rate varies by Federal State. In Bayern and Baden-Württemberg it is 8% of income tax paid. For all other Bundesländer it is 9%. The church tax is always levied IF the individual has to pay income tax. This excludes low income individuals. The roots of this lie in the 19th century when it replaced the church support previously given by princes in pre-Germany German-speaking areas as they formed modern Germany. 3) There is a moral obligation (incorporated into Canon law or its equivalent in some churches such as the Catholic Church) to support the church. The tithe is considered the benchmark, but that tithe covered things which the churches provided such as hospitals, alms for the poor, and so on. The “modern tithe” decreases the 10% by the amounts paid in taxes and charitable contributions for those functions, and there are a variety of proposed percentages based on a variety of calculations. Its impact on the German Catholic Church has been negative. When Catholics began to declare themselves as non-religious to avoid the tax, the German bishops attempted to condition sacraments such as baptism on paying it. That, of course, got shot out of the saddle rather quickly as a violation of Canon Law. So instead the German bishops have been trying to “soften” Catholic teaching in order to decrease the rate of departure of folks from the tax rolls. The church taxes in Europe generally exclude poor persons.. In reading the Uganda press reports on the suggestion, it does not appear the Archbishop actually submitted a concrete proposal but suggested the concept in a Sunday sermon. Therefore your comments would probably be more appropriately directed to members of the Ugandan National Assembly, which would need to propose such a law, draft it, agree upon it, and pass it. The archbishop looks like he has plenty of food on his table. There’s a cafeteria plan on what Mosaic laws apply to Christians. Not really … the moral precepts carried forward, the rest did not. Utterly outrageous! No government anywhere should be allowed to compel anyone to support religious institutions. As our US Founders, led by Madison and Jefferson, agreed, religion should be completely voluntary. Sadly, hack politicians like Trump, Pence and too many Republicans are even worse. The archbishop in Uganda wants the government to only force Catholics to support their church, while in the US Trump, Pence, DeVos and their followers want ALL taxpayers to support Catholic AND evangelical, Baptist, Adventist, Presbyterian, Methodist, Jewish, Muslim, etc indoctrination in private schools through vouchers or tax credits. On November 6 voters in Arizona voted NO to this violation of religious liberty by 65% to 35%, which is the same average ratio by which US voters opposed all diversion of public funds to sectarian and other private schools in 29 state referenda from coast to coast between 1966 and 2014. Connelly/Arnzen has long expressed his scorn for real religious liberty and church-state separation. Germany’s church tax applies to Catholics and Lutherans throughout the country, and that is why so many people are leaving their churches. Yes – one of the reasons at least. The Church tax is about 1% in Germany and is collected for a number of religious groups including Jews and various non-Catholic Christian churches. In countries with a state or official church, the church was expected to carry out function that served the public. Further, in the US we allow individuals to deduct from their taxable income contributions of money or in kind goods and services that were given to a church. Which in effect is an indirect financial support of religion.